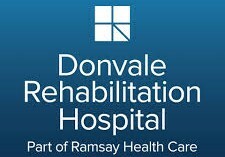 Owned and operated by Ramsay Health Care, Australia’s largest and most respected private hospital operator, Donvale Rehabilitation Hospital is one of Melbourne’s most reputable rehabilitation facilities. Located in Melbourne’s eastern suburbs, Donvale offers a comprehensive range of inpatient, outpatient and day patient services and has developed quality programs for the rehabilitation of a range of health conditions including: multi-trauma, chronic pain, oncology recovery, orthopaedic surgery, cardiac, pulmonary and neurological disorders. Donvale Rehabilitation Hospital is seeking a skilled psychologist to join our multidisciplinary team in providing high quality, evidence-based rehabilitation programs to 90 inpatients and a large, expanding outpatient service. Donvale Rehabilitation Hospital is known for its innovative rehabilitation programs and this is an excellent opportunity for an enthusiastic psychologist to be part of these exciting developments. This role is varied and would suit a psychologist with an interest in the psychological contributors and consequences of health conditions, adjustment to changed life circumstances and existential concerns. This role also provides autonomy and flexibility, while ensuring that the clinician is supported by an established Allied Health team and an experienced Senior Psychologist. It may suit a psychologist looking for a part-time role, with flexibility to balance clinical work and family commitments. Assessment of patients presenting with primary or secondary mental health issues, in a rehabilitation setting. Provision of evidence-based individual and group therapy interventions for a broad range of conditions, as well as adjustment to life changes. Consultation and collaboration with an established multidisciplinary team, to ensure that patients receive integrated rehabilitation programs. Contribute to the development of innovative rehabilitation programs across Donvale Rehabilitation Hospital. Current registration with AHPRA and eligibility for membership with the APS. Experience with time-limited psychological interventions (eg. CBT, ACT, Mindfulness-based therapies and trauma-informed cognitive therapies), as well as existential psychotherapy. The positions will commence approximately May/June 2019 and reports to the Senior Psychologist. Please provide a cover letter and CV.